Surprise! It's a super rare Sunday feature for the launch day of a very anticipated and colorful collection over at everyone's favorite Tar-shay (in addition to showing off Tidewater and Tulle's new look)! 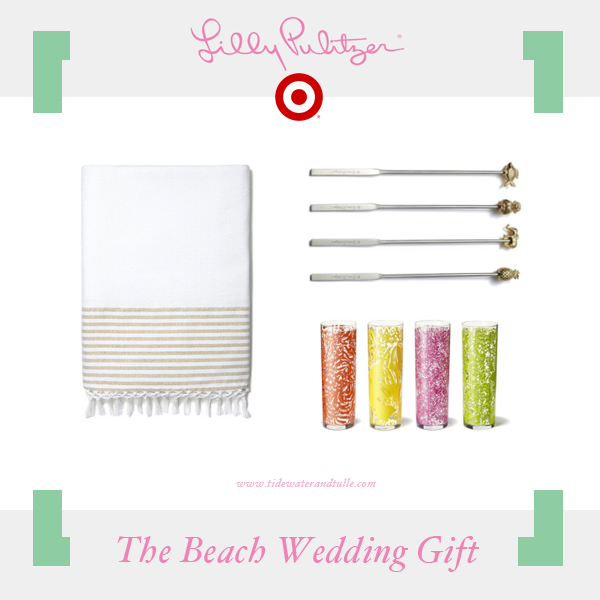 It was pretty expected when Lilly Pulitzer was announced as Target's summer design collection this past January that all of the coastal region squealed and got really excited for summertime. Because let's be honest, the bright and cheery patterns iconic to Lilly Pulitzer are perfect for the beach! And we think it's even more perfect for a summertime Hampton Roads beach wedding! From wedding guest looks to gift ideas to honeymoon wardrobes, we're pretty pumped to see the happy and chic beachy goodness take over this season! What's your favorite and are you going to be incorporating any of these fun colors in your wedding or honeymoon?